Here, at PubGalaxy, we believe in specialization in each and every aspect of monetization. We will deep dive to understand your needs and website specifics, to be able to help you with our expertise and industry knowledge. You can focus on in-app monetization, UX, interface, website content and growing your audience, while we’ll act as your extended team of dedicated: Account Manager, Yield Manager, Ad Quality & Tech Support Specialist, Customer Success Strategist. On top of that, your properties will be supported by our AdOps, Technical Integration and Partner Relations teams. Our Premium program has been running for a while now and we have already seen its success through the publishers who joined it in the very beginning. It translates into a sustainable increase in revenues and happy customers. 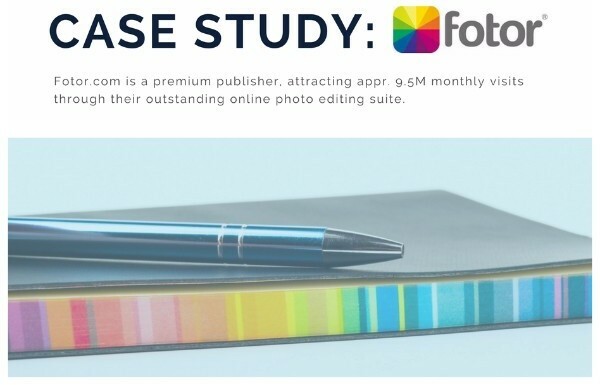 Click here and see how we helped Fotor reach a 59% increase in revenue.